When people think of beautiful landscapes for their homes or business, the first thing they usually think of is the softscape, the plants, shrubs and other garden flora elements that make up the bulk of your landscape. 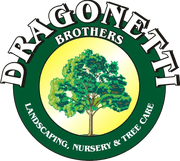 For softscape service in NYC, many people who know landscaping think of Dragonetti Brothers. At Dragonetti Brothers, we offer unparalleled softscape service in Brooklyn, Queens and throughout NYC to make your landscape look as beautiful and appealing as it possibly can. Softscaping is the heart of your landscape, so it’s important to work with a landscaping company that understands your needs for both hardscape and softscape. Dragonetti Brothers is that company. Whether your hardscape features are already in place and you need a softscape design that accommodates them, or you’re starting completely fresh, we have the tools and skills to create a landscape that you’re sure to love. Why Choose Dragonetti Brothers for Softscaping in NYC? Great softscaping starts with great plants, and Dragonetti Brothers have them. We are not a company that needs to order out for plants once we figure out what you want. We own and operate our very own Garden Center and Nursery, which means we have immediate and direct access to all the plants and shrubs we need to make your softscape perfect. We have everything from evergreens, perennials and annuals to shade trees, ornamental trees, native plants, hardy shrubs and more. Because of our years of experience with softscaping in New York City, we know exactly which plants and shrubs will thrive in the NYC environment and that’s what we grow. We will assess your location and the layout of your property and pick out the ideal plantings to flourish through the varied and often harsh climate in New York City. Our careful design process involves customizing your softscape plants for your planting zone, aesthetic sensibilities and the amount of maintenance you can or wish to devote to flora. Your property in NYC deserves a beautiful landscape, and Dragonetti Brothers has just the softscape capabilities to make that happen. We have countless testimonials from satisfied customers who have enjoyed our work. You don’t stay a thriving business for over 40 years in the landscaping industry without knowing what makes a great softscape. We’re ready to make your property come alive with a beautiful softscape today. We are a family-owned business that is fully licensed and insured, and we employ only the most skilled and caring professionals to manage your softscape. No job is too big or too small for our team. We love to serve new customers in the New York City area and see their delight as we transform their property. To join forces with us and see what we can do for your property in New York, all you have to do it get in touch. You can contact us online right now for a free quote, or give us a call to learn more about all of our landscaping services, including our softscaping options, at 718-451-1300.